Coming soon to Sky Arts – The Legacy! A family drama from the makers of The Killing and Borgen, The Legacy charts the death of an acclaimed artist and her children’s relationships as they await what is going to be revealed in her will. This sounds like a gripping series (well if it’s from the people who brought us The Killing..) and I was also interested to read it touches on the 68ers and the radical ideas of that generation and how that has affected the four children. The trailer for Sky’s Nordic Noir crime drama Fortitude has started airing and it has been announced that the show will be on Sky Atlantic in January. The cast is stellar, led by Christopher Ecclestone and Sofie Grabol with support from Stanley Tucci and Michael Gambon and the locations and production look like they are stunning. It seems like it will be a quality programme and definitely intriguing. I do worry that the bizarre and confusing mixture of local language and and English might grate (Kenneth Branagh’s Wallander still makes no sense in that regard) but I’m looking forward to this highlight among the darkness post-Christmas. 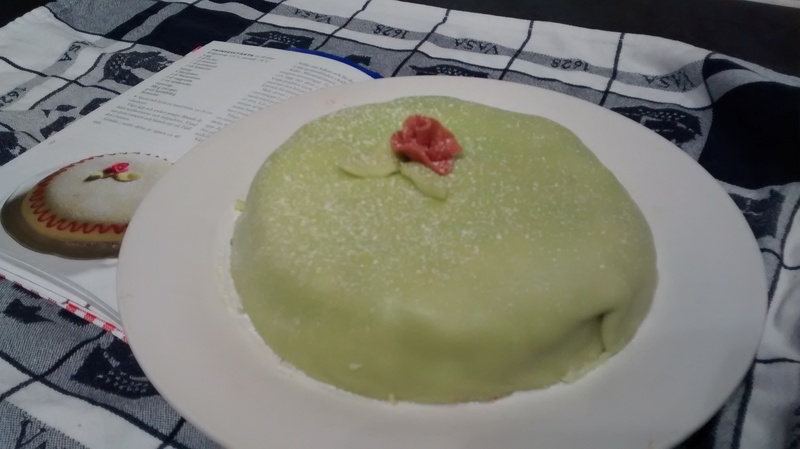 Inspired by tonight’s great British Bake Off, I decided to make a Swedish Princess Cake and see if I could manage tonight’s technical bake. I looked up several recipes online and after getting little confused by mentions of ready-made sponges, Marsánkräm and shop-bought green marzipan tops, decided the only way to go was to consult the Swedish baking bible Sju sorters kakor. I started by making a fatless sponge (but had to swap potato flour for cornflour) and, while that was baking, started on my crème. As my cookbook didn’t actually tell me how to make the fabled Marsánkräm, I used the BBC food recipe for crème patisserie instead. Crème pat did make me rather nervous as it always seems to cause issues for the Bake Off contestants but it came out great first go (hooray!). After cooling the cake, whisking the cream and rolling and rolling and rolling out my green coloured marzipan, it was time to construct my cake. I cut the sponge into three, layered the cakes with strawberry jam (my family doesn’t like the traditional raspberry) and cream, with my crème pat between the middle and top layers. I then threw on a lot of whipped cream, covered in marzipan and added a rose. As the recipe in Sju sorters kakor didn’t even include jam, and Bake Off‘s had a slightly different construction, I’m not certain I made the definitive version of a Swedish classic. Strawberry jam might be a controversial choice.. I also halved the recipe as otherwise I’d be eating this for weeks! It’s not the neatest but it tastes good and for a first attempt I am quite impressed (though I say so myself). Next time, I’m keen to have a go at making a full size version now I’ve worked out the basics, and invite some friends for fika. 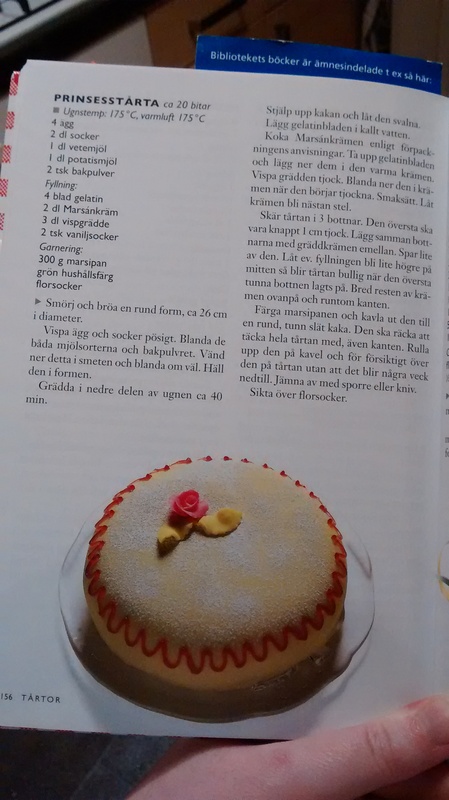 Have you been inspired to bake a prinsesstårta? Or do you have some other favourite Scandi recipes? 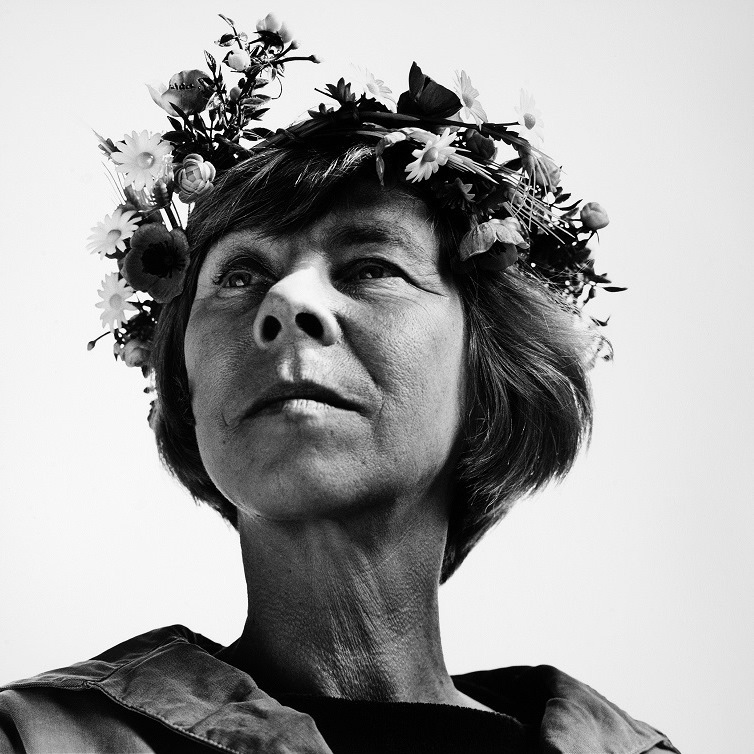 If, like me, you have only know Tove Jansson as creator of The Moomins, then you might like to check out the season exploring her work and short stories now airing on BBC radio 4 as part of celebrations of the centenary of her birth. As well as Moomins, she was an artist, illustrator and writer of novels and short stories. 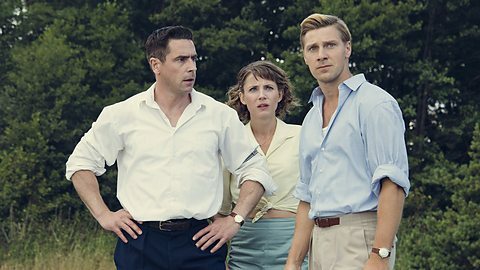 Crimes of Passion starts tonight on BBC Four. After seemingly months of promos, Crimes of Passion will finally air this evening. It looks super stylish and fun (on Wikipedia there is the comment “Mad Men meets The Killing”.. Hmmm) and it will be good to see Stefan from Wallander back on screen. Are you looking forward to Crimes of Passion? Have you read Maria Lang’s novels?